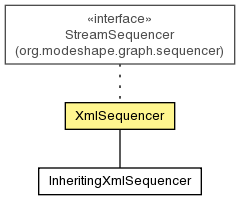 A sequencer for XML files, which maintains DTD, entity, comments, and other content. Note that by default the sequencer uses the default namespace for unqualified attribute rather than inheriting the namespace from the element. (See also InheritingXmlSequencer. The choices for how attributes that have no namespace prefix should be assigned a namespace. scoping - Sets scoping to the specified value.